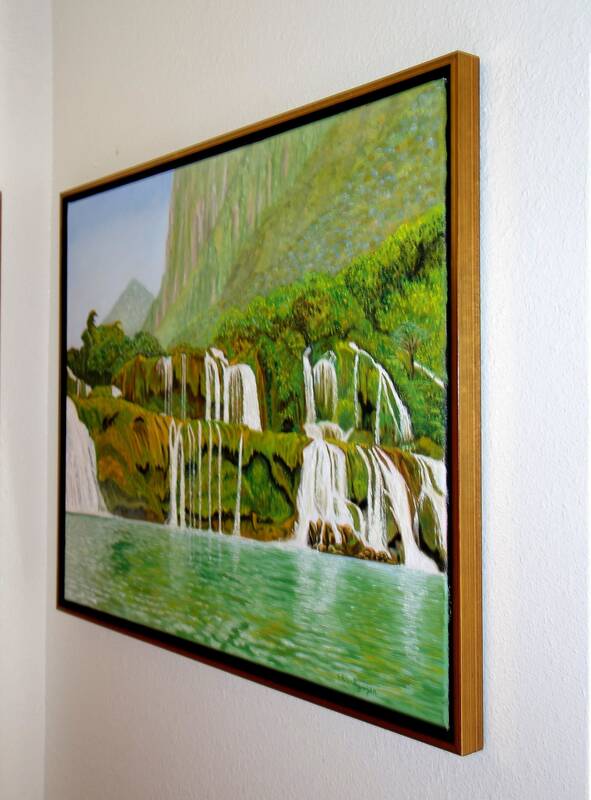 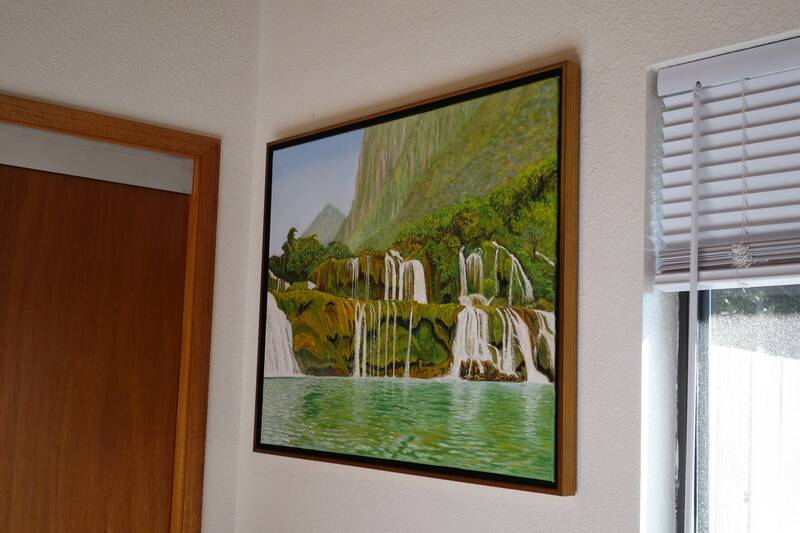 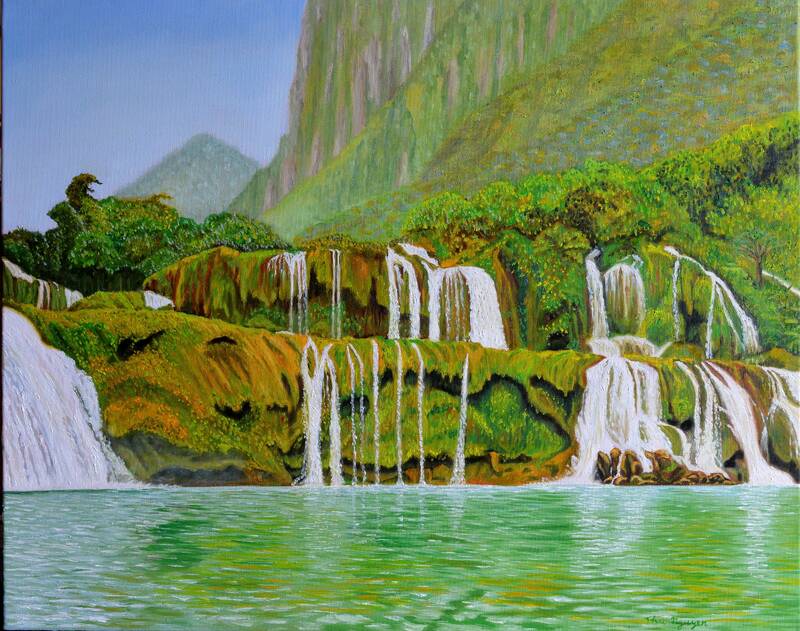 This is an original oil painting on canvas depicting a scene of tropical paradise with waterfalls. 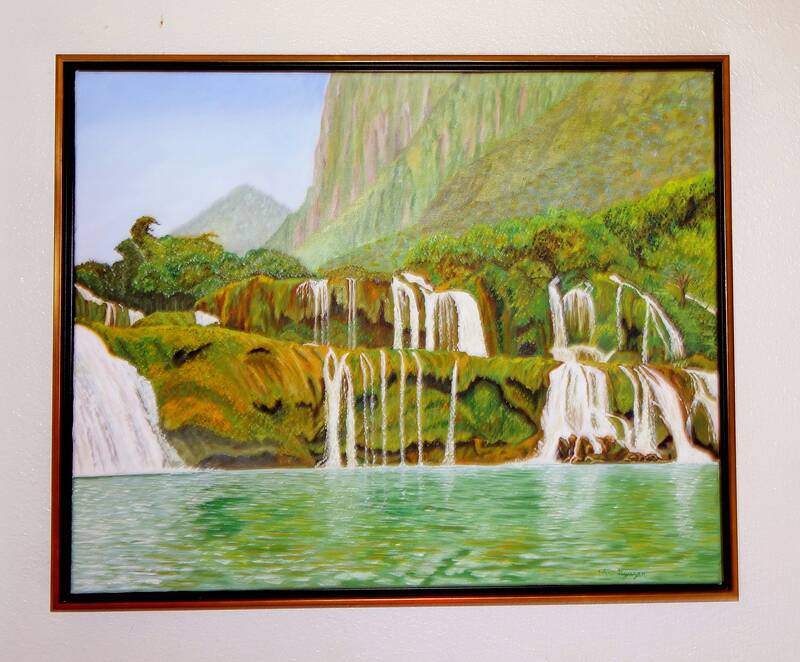 It is framed and ready to hang in your living room. 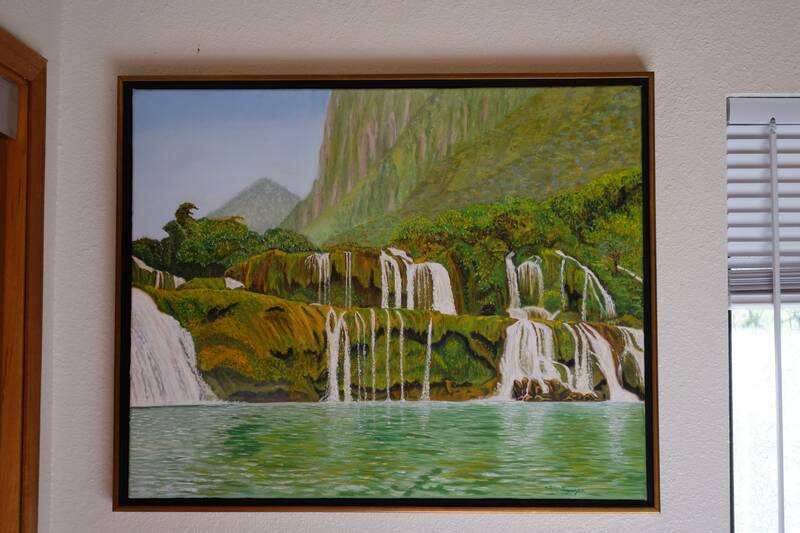 Take home a piece of Paradise today.